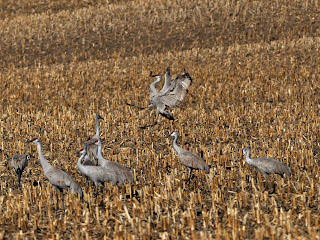 Well, I played hookie today and drove out to see the Sand hill Crane migration. The sunrise was mediocre. But there was plenty to see. Here is a guy who seems to be pretty happy to see me. If you get a chance - you have got to come to NE and see the "greatest wildlife spectacle in North America."